Did you know that 61% of mobile sites don’t allow you to zoom? We’ve fixed that for you in Opera for Android 34, which we’ve released today. 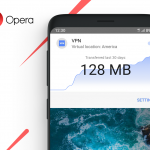 When launching the latest Opera for Android, you’ll notice a snappier performance, as we’ve made a number of UI performance improvements to make it run better on lower spec devices. And, we’ve responded to a recurring feature request: an option to allow you to zoom on any website, no matter how the site has been configured by the owner. I was curious how many sites were using this kind of “zoom lock”, so I started digging around in the HTTP Archive, a website that tracks how the web is built, by crawling a large set of popular websites and collecting historic information about them. HTTP Archive has stats showing the decline of flash or the rise of web fonts, for instance, and offers a large set of raw data dumps you can analyze for yourself. I picked up a recent data set (Dec 1, 2015) showing a list of top websites — 4,762, to be exact — loaded on Android via Chrome emulation. I first looked at how many sites serve a mobile-optimized, responsive experience to mobile visitors: 82% of websites do so, which is great to see. However, out of that set of mobile-optimized sites, a staggering 61% lock the zoom level completely, which makes the sites really hard to use for people with vision problems. These people need to be able to zoom — yet, in most cases, this zoom lock is there for no apparent reason at all. So, this is where our newest feature comes in: if you click on the red “O”, go to Settings, and check Force enable zoom, you will be able to take back control and zoom in on (almost) any site. For now, you have to enable the “Force enable zoom” feature manually, but we’re investigating whether we can turn it on by default, just like we’ve done with automatic text wrap. Download Opera for Android 34 today from Google Play and give “Force enable zoom” a try. Then, let us know how it works for you! And, please file a bug report if you find a site not working with it.